You've got jobs lined up, but need to replace your forklift and funds are tight. No problem. Call the leader in material handling solutions, Hyundai Forklift of Southern California. Not only do we carry an affordable selection of new and reconditioned forklifts, but they also carry used forklifts. 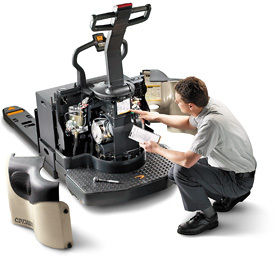 Boman's Better Than New program guarantees that their used forklifts are fine working machines. Our used forklifts come with a longer warranty than a new forklift's. Factor in that forklifts depreciate like cars (immediately losing value once off the lot), and you'll see why Boman's used forklifts give you the best of both worlds.